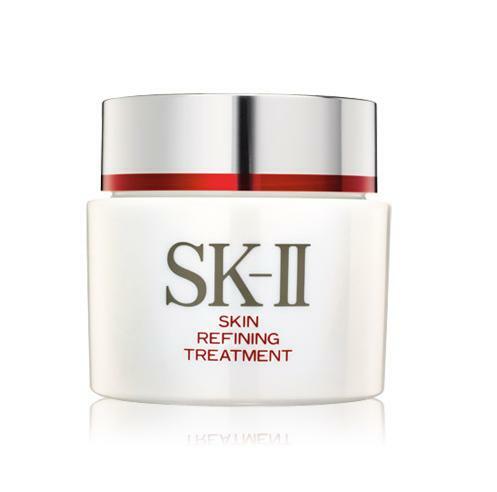 The Miracle Facial at SK-II Boutique Spa | beauty. bikes. Last month, I was very blessed to be invited to be part of the first ever global blogger workshop by SK-II. It was held in Singapore, and bloggers from Malaysia, Indonesia, Thailand, Hong Kong, and Korea flew in to attend it. 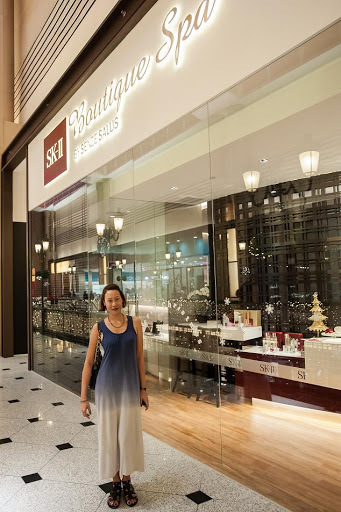 A nice surprise was that we were going to enjoy facials at the newly opened SK-II Boutique Spa at Millenia Walk! I’m happy to share with you my experience at the spa, and what you can expect there.. read on! 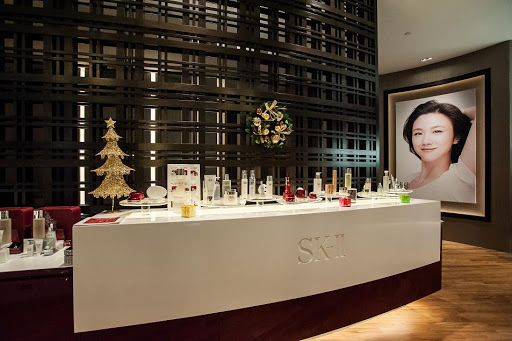 The newest SK-II Boutique Spa, located conveniently in the heart of the Marina Bay district in Singapore is the biggest SK-II spa in Singapore to date. It offers over 20 different treatments, mostly facials, and also waxing services. The entrance of the spa.. showcasing the full range of SK-II products! 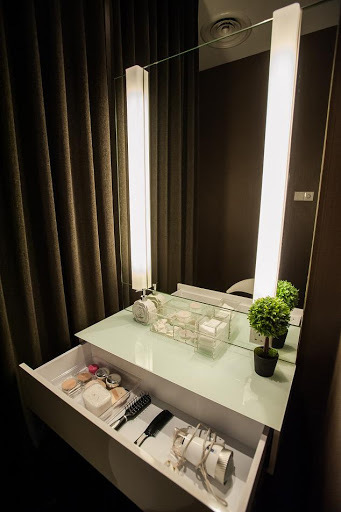 The facial I tried was the Miracle Facial (S$190 for 60 mins). It is an anti-aging facial, which promises to reduce fine lines, wrinkles and dullness, by using lots and lots of.. you guessed it, Pitera. I had blamed the dry weather in the US for that, but when I came back to Singapore I still felt it didn’t get better! Using aromatherapy, my facialist started the treatment, which brought me into a relaxed state. I got to try so many products during the treatment, and here are some of the highlights. Cleansing: My face was gently cleansed with the Facial Treatment Cleansing Oil, followed by the Gentle Cleanser. I really liked the Skin Refining Treatment, which helped to deep cleanse and exfoliate the skin, while minimising pores. Extractions: She gently did extractions on my skin, nothing more than I could bear! And trust me, my pain threshold for the face is pretty low. Massage: Using the Facial Treatment Massage Cream, she massaged my face, neck and shoulders. Mask: SK-II Skin Signature 3D Redefining Mask was left on for.. I think 10 minutes – a little short! I did feel that so much of the fluid in it went to waste, I would have squeezed the rest out and applied it to my body if I were using it at home. The 3D Redefining Mask is for anti-aging, where it targets sagging points of the face. After the facial, there was a little dressing area we could get ready at. There were SK-II Foundations available for use, and I tried them out. I have to say I was greatly impressed with the smooth application and coverage of their foundation! It lasted me through the special welcome dinner till 10PM without any touch ups (I finished my facial around 4PM). I like the SK-II Foundation! At the welcome dinner, chatting with the lovely Velda Tan of Belluspuera. With such a wide range of facials that the SK-II Boutique Spa offers, there is something for every skin type. You can even bring you man along with you for him to enjoy the MEN Vibrant Facial. Brides-to-be will enjoy the radiance the facials provide (try the Aura Lucency Facial for that special glow), and if you love aromatherapy, try the Cloud9 Facial which uses organic essential oils. Can’t wait to try? First timers get $50 off their facials if you register here. Pingback: Christmas Countdown Gift Idea #18: Treat Her To The Perfect SK-II Gift! *Plus, join celebs at SK-II tomorrow! * | Beauty. Bikes. hi! amazing blog! i was wondering in what stage did they apply the skin refining treatment? after cleansing or after essence? thank ou! Hi! Thanks! The skin refining treatment was used immediately after cleanser, and before any other essence/mask/creams were used. It’s like an exfoliator!